What are the Causes of A-Fib? It’s estimated as many as 5.1 million people in the U.S. have A-Fib. By the year 2050, the number will be 12-16 million. Each year there are over 340,000 new cases in the US. A-Fib is the most common heart arrhythmia. In the U.S. people over 40 have a one in four lifetime risk of developing A-Fib. Worldwide the number of cases is estimated to be 33.5 million or 0.5% of the world’s population. 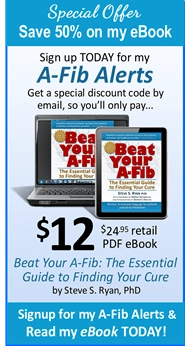 A-Fib has rightly been called an emerging epidemic. Risk Factors: HOW DO YOU GET A-FIB? If you’ve had other heart problems, this could lead to diseased heart tissue which generates the extra A-Fib pulses. Hypertension (high blood pressure), Mitral Valve disease, Congestive Heart Failure, coronary artery disease, and obesity seem to be related to A-Fib, possibly because they stretch and put pressure on the pulmonary veins where most A-Fib originates. Coronary artery disease reduces blood flow and oxygen (stagnant hypoxia) which can trigger A-Fib. Coronary artery disease reduces blood flow and oxygen (stagnant hypoxia) which can trigger A-Fib. A lot of A-Fib seems to come from uncontrolled high blood pressure. Many EPs recommend that all hypertension patients get a home BP monitor and aggressively work at controlling their blood pressure. About 25% to 35% of stroke survivors experience atrial fibrillation; Up to 40% of patients get A-Fib after open heart surgery. “Pericarditis”—inflammation of the pericardium, a sack-like membrane surrounding the heart—can lead to A-Fib. 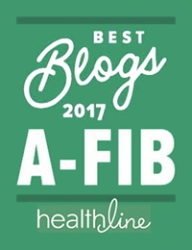 See the personal A-Fib story by Kris: “Binge Drinking Leads to Chronic A-Fib, Amiodarone Damages Eyesight” pp. 144-150 in my book, Beat Your A-Fib. Otherwise healthy middle-aged women who consumed more than 2 drinks daily were 60% more likely to develop A-Fib. Steve Walters writes “that red wine brings on A-Fib attacks for him, but not beer, white wine, or cordials. Has anyone else had similar experiences with red wine?” E-mail: bicwiley(at)gmail.com. Severe infections, severe pain, traumatic injury, and illegal drug use can be a trigger. Low or high blood and tissue concentrations of minerals such as potassium, magnesium and calcium can trigger A-Fib. Thyroid problems (hyperthyroidism), lung disease, reactive hypoglycemia, viral infections and diabetes. Smoking can trigger A-Fib. Smoking reduces the ability of the blood to carry oxygen (anemic hypoxia). Smoking cigarettes raises the risk of developing A-Fib even if one stops smoking, possibly because past smoking leaves behind permanent fibrotic damage to the atrium which makes later A-Fib more likely. As we put on pounds, our risk of developing A-Fib increases. In recent studies overweight adults were 39% more likely, and obese adults 87% more likely, to develop A-Fib than their normal-weight counterparts. Health problems linked to obesity, like high blood pressure and diabetes, can contribute to A-Fib. And obesity may put extra pressure on the pulmonary veins and induce A-Fib. Left atrial hypertension is a common finding in obese patients. See the personal story and VIDEO by Susan Klein: My Family’s A-Fib was Misdiagnosed for Years. Research has identified a Familial A-Fib where A-Fib is passed on genetically. Do you have a parent or other immediate family member with A-Fib? Research says you have a 40% increased risk of developing A-Fib yourself. And the younger that family member was when they got A-Fib, the more likely you are to develop A-Fib. According to Dr. Dan Roden of Vanderbilt University, genetic research may become important to A-Fib patients. He postulates that “Lone A-Fib” (A-Fib without a known cause) may actually be caused by genetics. We’ve had reports that A-Fib can be triggered by antihistamines, bronchial inhalants, local anesthetics, medications such as sumatriptan, a headache drug, tobacco use, MSG, cold beverages and eating ice cream, high altitude, and even sleeping on one’s left side or stomach. One person writes that hair regrowth products seem to trigger his A-Fib. 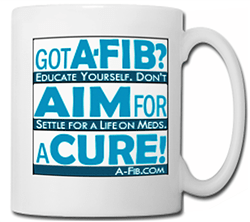 When I had A-Fib, I used to include caffeine (coffee, tea, sodas, etc.) in this list, but some research suggests that coffee and caffeine in moderate to heavy doses (2-3 cups to 10 cups/day) may not trigger or induce A-Fib. Coffee (caffeine) may indeed be antiarrhythmic and may reduce propensity and inducibility of A-Fib both in normal hearts and in those with focal forms of A-Fib. Chocolate in large amounts may trigger attacks. Chocolate contains a little caffeine, but also contains the structurally related theobromine, a milder cardiac stimulant. Another reader writes that the natural sweetener and sugar substitute Stevia seems to trigger her A-Fib. GERD (heartburn) and other stomach problems (like H. pylori) may be related to or trigger A-Fib. If so, antacids and proton pump inhibitors like Nexium may help your A-Fib. A report from England suggests that the veterinary antibiotic “Lasalocid” found in eggs and poultry meat may cause or trigger A-Fib. Recent research indicates sleep apnea (where your breathing stops while you are sleeping) may contribute to A-Fib, probably by causing stress on the Pulmonary Vein openings and/or by depriving the lungs and body of adequate oxygen supply (Hypoxemic Hypoxia). Over 25 million Americans currently have sleep apnea, but 80% of these people don’t know they have it. If you have A-Fib, it’s wise to have yourself checked for sleep apnea. 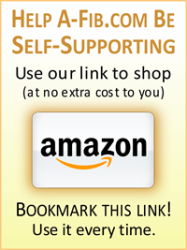 You can do a “quick” check of how much oxygen is in your blood with a Pulse Oximeter, such as the Contec Pulse Oximeter for about $20 from Amazon.com and in drug stores. A reading below 90% would indicate you need to have a sleep lab study. Be careful if you work around equipment that vibrates. Certain frequencies and/or vibrations may possibly trigger or induce A-Fib. (If anyone has any info on how or why high frequencies and/or vibrations may possibly affect A-Fib, please email me.) Don Thompson describes how working on an oil drilling rig with a vibrating plate “a shaker” caused him to go into A-Fib. See Don Thompson Story. Isabel Pichardo writes that the vibrations from riding in her husband’s Mini Cooper trigger her A-Fib for long periods. Men get A-Fib more than women. But women may have more symptoms. Athletes are more prone to A-Fib perhaps because they have larger hearts where there is more room for these extra electrical signals to develop and propagate, and possibly because of the extra pressure they put on their pulmonary veins through aerobic exercise. A-Fib is often found in tall people, particularly basketball players. Men get A-Fib more than women. But women fail more antiarrhythmic drugs therapies than men and may have more symptoms. For more see my article: The Facts About Women with A-Fib: Mother Nature and Gender Bias. A-Fib is associated with aging of the heart. As patients get older, the prevalence of A-Fib increases, roughly doubling with each decade. 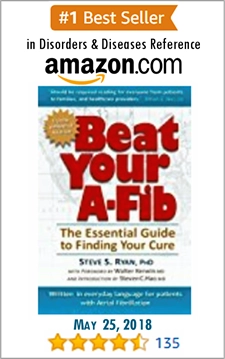 2-3% of people in their 60s, 5-6% of people in their 70s, and 8-10% of people in their 80s have A-Fib. Approximately 70% of people with A-Fib are between 65 and 85 years of age. This suggests that A-Fib may be related to degenerative, age-related changes in the heart. Inflammation may contribute to the structural remodeling associated with A-Fib. 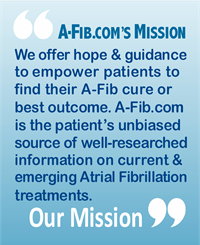 Regardless of the cause of your A-Fib, we make it easy to explore the various treatments for Atrial Fibrillation. Both short-term and long-term approaches aim to control or eliminate the abnormal heart rhythm associated with A-Fib. Go to Treatments. ▪ Nelson, Bryn. “Places In The Heart,” NYU Physician. Spring, 2009, p. 8. ▪ Frost L., et al. “Atrial fibrillation and flutter after coronary artery bypass surgery: epidemiology, risk factors and preventive trials. International Journal of Cardiology. 1992;36:253-262. ▪ Calkins, H. and Berger, R. “Atrial Fibrillation The Latest Management Strategies.” The Johns Hopkins Medicine Library, p. 10. ▪ Conen D, Tedrow UB, Cook NR, Moorthy MV, Buring JE, Albert CM (December 2008). “Alcohol consumption and risk of incident atrial fibrillation in women”. JAMA 300 (21): 2489 96. doi:10.1001/jama.2008.755. PMID 19050192. PMC 2630715. http://jama.ama-assn.org/cgi/content/full/300/21/2489. ▪ Brugada R. “Identification of a genetic locus for familial atrial fibrillation,” New England Journal of Medicine 1997;336:p. 905-911. Ellinor et al., 2005, 2008. Sinner et al., 2011. ▪ Go, “Anticoagulation and Risk Factors in Atrial Fibrillation (ATRIA) study. Prevalence of diagnosed atrial fibrillation in adults: national implications for rhythm management and stroke prevention.” JAMA, 2001:285:2370-2375. ▪ Philip A. et al. Atrial Fibrillation: A Major Contributor to Stroke in the Elderly: The Framingham Study. Arch Intern Med 1987;147:1561-1564. ▪ Feinberg, “Prevalence, age distribution, and gender of patients with atrial fibrillation: analysis and implications.” Arch Intern Med 1995;155:469-473. ▪ Laish-Farkash, A. et al. Atrial Fibrillation in the Elderly—To Ablate or Not to Ablate, J Cardiovasc Electrophysiol. 2013;24(7):739-741. http://www.medscape.com/viewarticle/807303. ▪ Van Wagoner, David “Atrial selective strategies for treating atrial fibrillation.” Drug Discovery Today: Therapeutic Strategies Vol 2, No. 3, 2005. “We have detected increased levels of the systemic inflammatory marker C-reactive protein (CRP) in patients with A-Fib.“ Allessie, Maurits A. et al. “Pathophysiology and Prevention of Atrial Fibrillation.” Circulation. 2001;103:769.